Human Sparks founder, Marcel Wilson’s latest book, Frontier Mindset, focuses on the subject of Change Leadership. Frontier Mindset describes the leadership discipline required to influence change despite resistance from people who are committed to old ways of working. Why are some people able to create the future they want, while others are followers of others' ideas? Steve Jobs, Martin Luther King and The Wright Brothers all had one thing in common – their Frontier Mindset. Frontier Mindset is a change-enabled way of thinking. Acquiring a Frontier Mindset is the key to thriving in our fast-changing world and getting what you want. 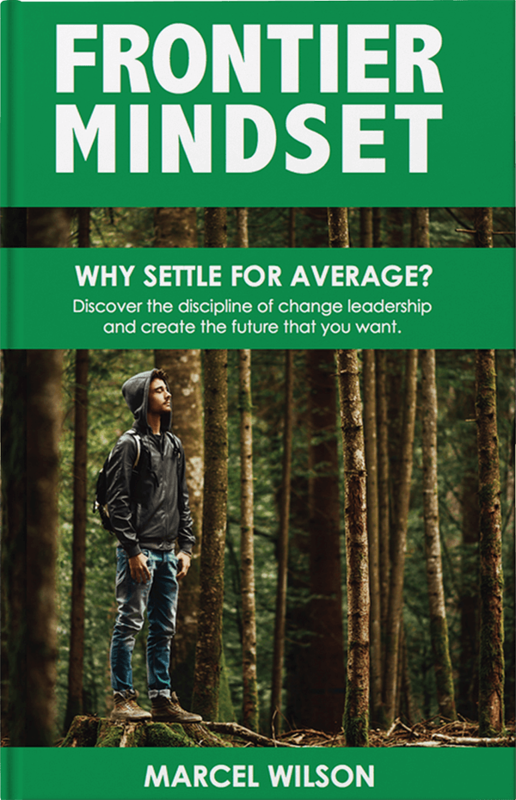 Frontier Mindset cuts through the complexity of life and reveals the simplest approach to becoming an influential leader of change. This book stands out among the thousands of leadership tomes currently being published, and should be required reading, not just for leaders, but for anyone who wants to master the art of thriving in an era of change. Marcel Wilson is a speaker and consultant to business leaders on the topic of leading change. With a background and passion for innovation, and change, Marcel leverages his experience as a senior business leader, consultant and leadership development coach. Marcel holds a Master Degree in Business Leadership and Bachelor of Arts. Marcel is the Managing Director of Human Sparks Pty Ltd, an Australian consultancy that works with multinational and mid-sized to unlock value from their change initiatives. Marcel offers many examples throughout his book and highlights real life examples and perspectives on growth from change. The exercises at the end of the chapters will allow the individual reader to recap and pull out the information that has been vital for their growth.